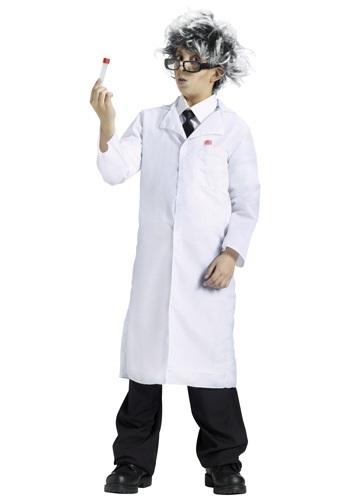 He'll look instantly smarter in this Science Guy Lab Coat. This is a 100% polyester collared white coat which Velcros in the front and features a left breast pocket to store your syringes full of crazy concoctions. He'll probably cure the next big disease or cause them!